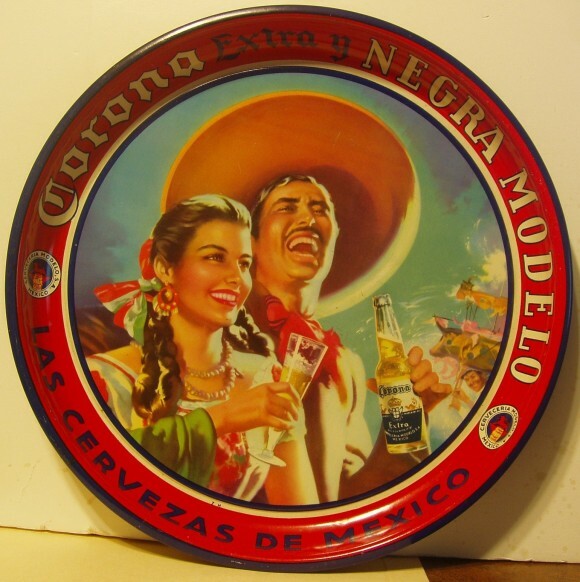 Serving Tray for Corona Extra Negra Modelo. The central figures being a young Mexican couple holding and enjoying a glass and bottle of the company’s brew. The text along the bottom states Las Cervezas De Mexico.